The North Ayrshire Council Social Services & Health (SS&H) team was keen to identify learning and development (L&D) programmes that would better prepare their staff for upcoming legislative changes and in particular, Health and Social Care Integration. This was their first time mapping out their needs in practice. The head of service was also keen to understand how that would translate into cost so that she may better forecast future need against budget. IMPOWER’s first step was to identify learning needs and this involved going through pending legislation changes that would impact on Children Services, Adult Social Care, and the Criminal Justice System. Any extracts from documentation that implied future expectation on workforce requirement were collated. Each extract was then assigned with a ‘learning need’ (e.g. Managing Change). We researched best practice research with Highland Council to understand what their expectations were for staff after the integration and this encouraged us to consider other learning needs outside of existing L&D guidelines. We then created an Excel Learning Needs, Cost & Demand Tool for the L&D team to record learning needs under future requirements and current standard training. A four year forecast on cost and demand can also be recorded for each individual learning need and these are automatically calculated into a cost/demand summary tab. The implementation of the tool helped the L&D team to clarify issues around accountability and responsibility around existing practice in L&D. 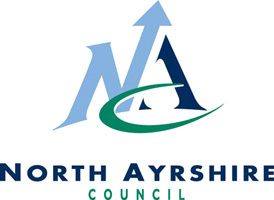 Up to this point, North Ayrshire Council had no way of understanding the demand for its training services and/or forecasting the costs for their L&D programmes. They did not have the capacity and resource to investigate what was required of its workforce under upcoming changes. At the end of the project, IMPOWER has provided a high level implementation plan for the L&D team to finish off their part of the project (i.e. agreement on the most appropriate L&D programme for each learning needs and cost/demand). Full team introductions were completed and a one to one programme of updates was delivered in collaboration with existing Learning and Development staff. We met with Senior Managers to get more ideas on what they think learning needs are and most suitable training methods. Surveys and structured interviews, plus group facilitation, were just some of the methods deployed in conjunction with council colleagues to complete the project. To ensure we include as many views on learning needs as possible, we held meetings with Senior Managers across all departments. Regular and ad hoc meetings also took place with SS&H’s L&D team, HR and OD representatives. In terms of governance, weekly Governance Group meeting took place, in addition, a weekly status report was circulated. A continuous flow of information was encouraged to create a new sharing culture from staff and to embolden staff to be more confident in expressing their training needs.